ACTS law hour - Episode 8 - ACTS Law Firm in California | Abir Cohen Treyzon Salo, LLP. Announcer: You’re listening to the ACTS Law on 790 KABC. The attorneys from ACTS Law are here to help you restore your property, your pocketbook and your sanity. Don’t delay, act now at 800-225-222. Lorraine Love: Good afternoon, Los Angeles. This is the ACTS Law Hour. This is Talk Radio 790 KABC. Welcome to the ACTS Law Hour heard every Saturday at noon, providing you with solid information from our good friends at Abir, Cohen, Treyzon and Salo, The ACTS Law firm. That’s A-C-T-S Law. Find them at actslaw.com. Knowledge is power and power is knowledge. The ACTS Law Hour wants to empower you today. Now, here’s our host and managing partner of the ACTS Law firm, Danny Abir along with me, Lorraine Love. Danny Abir: Good afternoon, Lorraine. How are you? Lorraine: Good afternoon. Good. How are you? Danny: I’m good. Are you ready for the holidays? Lorraine: I am getting ready for the holidays. Trying to finish the shopping and get all the packages delivered and all that fun stuff. Danny: I still haven’t gotten my gift yet. Lorraine: Haven’t you gone on shopping or you haven’t gotten my gift from you– To you? Danny: I haven’t gotten my gift from you. Lorraine: It’s not Christmas yet. We have every Saturday until then. Danny: All the stores you go into, they’ve been in Christmas shopping mode for what, for the past month? Danny: It seems like it keeps creeping back and back and back. I think next year probably people will start Christmas shopping or stores will expect them to start Christmas shopping in January or February. Lorraine: Yes, exactly. [laughs] Easter time there will be shopping for Christmas. Danny: We got to see an ACTS Law here with us. AC, Alexander Cohen. #C.Alex. Alexander Cohen: Go C. Alex. Lorraine: Go C. Alex. How are you? Cohen: Thank you, Lorraine. Good morning, LA. How’re you guys doing? Lorraine: We are good. Glad to have you back. Cohen: This is a special show because everything that’s going on, I’m very fortunate to be back so we can address some issues concerning fire and fire insurance and everything that’s going in our states. Our state is on fire right now. Lorraine: Either one of you affected by the fires? Danny: My house is about a mile away from the Skirball Center fire. Danny: No, we were ready and thought that we were going to get evacuated, but the fire started going south and southeast versus north and we live north. We are about a mile north of it. Danny: We were lucky but it was difficult on my wife. It was difficult on the kids to deal with that morning and so early in the morning the fire trucks go by. Cohen: Last night I saw a Facebook post by a friend of mine as they were driving up on the 405. Driving north on the 405 and they were videoing this fire event that’s going on on the brushes in the hillside and you look at this, you think it’s like a scene from a movie or something. Cohen: It was so scary to see our city burning like this. Lorraine: Were you affected at all, Alex? Cohen: I live in an area that while it’s a brush fire zone it wasn’t quite in the line of fire at all, but I still got all the smoke, ashes and stuff that was basically being thrown around by the high winds that we were having. Lorraine: Right. That’s what the scariest; the winds. I live in Huntington Beach and we weren’t affected by any of the fires in LA, but then all of a sudden there was a little brush fire by my house in Huntington Beach so everybody is like, “Are you okay?” Texting. I’m like, “What’s going on in Huntington Beach?” There was a little fire that in ember caught this bacon area and it was crazy. It’s like the whole states is on fire like almost literally. Cohen: Huntington Beach was something that’s started, I think, on Thursday from what I understand. Lorraine: Yes, it was Thursday. Cohen: Then it continued from what I heard on the news and read on the papers that it was going down to San Diego. Imagine where it first originated and where it is now and how did this all start, where did it begin? Lorraine: Yes. People are wondering is it Arson. No one really knows exactly how it all started even. Even I think there was one in Marietta, Temecula area there was a fire on Thursday it’s crazy and now San Diego. Danny: There were two instances I believe over the past week where the authorities actually caught people who are trying to set either buildings or things on fire. There was one person in Van Nuys he was caught from what I remember he set a palm tree on fire. Cohen: Right. Yes, I heard about that one. Danny: Last night there was another one in Orange County area. Cohen: People are crazy sometimes. Cohen: It comes out. It comes out in the most awkward times and you see people doing that. Well, first and foremost, honestly let’s acknowledge on behalf of everybody the heroic work of the fire department. Lorraine: Oh, my gosh. They have been amazing. Cohen: The fire fighters are just unbelievable. They have saved so many people’s lives, structures, animals, property, you name it. Then, they’ve put themselves in harm’s way and honestly, they have to be acknowledged for the amazing work that they’ve done on this and we’re lacking resources. There’s fire fighters coming in from different counties and it’s awesome to see that when there’s human life at stake, people stand for human life. Cohen: Unbelievable and it’s like they’re putting their own life in danger. It’s very difficult. I was watching the news of how this wind is continuously flaming this fire and it’s making it jump to other areas and stuff. Lorraine: Right. Hops over freeways. It’s crazy. Cohen: It is. It’s mind boggling. Danny: It was actually one of the questions that people had was, for example, you saw on the news that only 5% is contained and you’re looking at the area and you don’t see any smoke or any fire and you find, you’re like, “Why is it only considered 5%?” The thing is that you may not see fire, but there are still areas that are burning and they’re really hot. All it takes is a wind of 50 to 80 miles per hour which is what we had. Think these embers and basically start a fire somewhere else and that’s the reason they consider it only 5% contained because they haven’t made every area safe and without fire and heat basically. Lorraine: No power, no internet and no phone. Lorraine: What would you take? Yes. Cohen: What would you take? Lorraine: What are the three things you would take? Danny: One of the beauties of today’s world with the technology is that before our people used to be more afraid about their pictures. Lorraine: Right, let me grab the box of pictures. Danny: Now a lot of the pictures are electronic and digital and then the clouds, so you don’t have worry as much about that. We decided today’s show is going to be about fire obviously, for all these reasons. What we thought that could be helpful is talking about your insurance claim and how the insurance company is going to be dealing with it, what kind of things you should be aware of when you’re dealing with fire, smoke damage and the sort in these times. The insurance companies, while they’re supposed to be on your side, they’re not necessarily looking at it that way because they have to look for their own pockets. I think that the advice that we could give you in the next segment would be very helpful and if you have any questions that are related to this area not just on insurance claims, and not just on fire claims, but with insurance claims in general and property claims, I think Alex Cohen could be a very good source to answer these questions. Lorraine: I agree, because I know I have a lot of questions, I’m sure everybody else does too. If you have questions please give us a call. If you’ve been a victim of the fires, or if you have questions about any sort of property damage, go ahead and give us a call 800-222-5222. We’re going to take a quick break and when we come back, like we said, we’re going to talk to our guests lawyer, Alex Cohen and to answer any questions that you guys have. We’re listening to the ACTS LawHour with DannyAbir and me, Lorraine Love, on Talk Radio 790 KABC. Announcer: Has rain, wind, fire or floods damaged your property? The attorneys from ACTS Law are here to help you act now at 800-222-5222. Lorraine: This is Talk Radio 790 KABC. Welcome back to the ACTS Law Hour heard every Saturday at noon, providing you a solid information from our good friends at the ACTS Law firm, that’s A-C-T-S Law, find them at actslaw.com. If you have any questions, or if you have been a victim of any of these fires, or if you have any questions about property damage, we are here. We would love to hear from you and help you give you any sort of advice you could need. Give us a call at 800-222-5222. I’m Lorraine Love, along with your host Danny Abir. Danny: Let’s give it some structure, let’s start first with buildings or homes that are brick and then we can talk about buildings and homes that are partially burned and then we can talk about buildings and homes that are not necessarily they did not catch on fire, but they were in close proximity to fires. Whether it’s another building or a brush fire which is there is a difference when it comes to your insurance policy, believe it or not. We can talk about how that smoke damage the issues that you have to deal with when you’re dealing with your insurance company. Lorraine: Let’s start from beginning. Cohen: We could do that, but if you want to start from the beginning, you honestly have to scale it back one more level. Then, I can structure it the way Danny wants, completely. I think it’ll be really helpful for the audience, but I think you’ve got to take it one step back and understand what the purpose of insurance is on your property. The number one reason why people purchase insurance is because of fire. Even the banks require that. The banks require you to have fire insurance policy because it is the most difficult type of event that may occur. Lorraine: Anybody who has a mortgage on their home, has to have fire insurance? Cohen: The banks will require you to have fire insurance. Lorraine: When you hear people say, “I didn’t have any insurance,” it’s probably because either, their house was paid off or they were renting? Cohen: Correct. Imagine how many different types of events can generally occur from the house, within the house that allows it to catch on fire. You may have electrical issues, you may have a kitchen fire damage. Boy, those are very common, very common. Another structure may be burning and your structure whether it’s a home, or commercial property may catch on fire because it was just next door, by virtue of that. There’s a group of people that also live in brush fire zones and hillsides and whatnot. Lorraine: When those type of people get insurance, do they have to pay more? Cohen: Very good question. This is the scale back that I’m talking about, because those homes will be at a higher risk and there’s a lot of insurance companies that won’t agree to insure your property if you’re located within a brush fire zone, they just wont accept that risk. My house is one of them. I have to search for insurance carriers that would accept that risk and the insurance premium for those are higher. Cohen: The risk of how they assess your fire insurance premium is based on the risk. Lorraine: Higher risk more cost? Cohen: Correct, not everybody insurers in brush fire zones and so there are some people that try to get insurance and they have a hard time getting insurance through your conventional insurance carrier, so where do you go? Lorraine: Because you have to have it. Cohen: Yes, what are you going to do? Lorraine: It’s like a catch 22. Cohen: Well, there is a program called the California Fair Plan. I have a lot of clients that are actually insured through the California fair plan when they want to obtain fire insurance policies. What is the California Fair Plan? Lorraine: What is that? Is that something that California has put together an insurance company? Cohen: Great question. First of all, the fair and fair Plan stands for the fair access to insurance requirements, state mandated program that provides fair access to insurance for individuals who are having trouble insuring their property due to the fact that the insurer considers them high risk. How did the fair plan even get formed? Lorraine: Well, probably because insurances didn’t want to write the insurance for people who live in high risk areas, so California probably had to step in to come up with some sort of a fair plan, otherwise people wouldn’t be able to get mortgages and all that other stuff in those areas. Cohen: Well, the fair plan is an association that’s actually located in Los Angeles and it is comprised of all insurers; insurance companies basically, that are authorized to transact business within that state, here at California. The fair plan provides insurance as a last resort. What it is, is the insurance companies that do business here in California, they have to pay a percentage equal to their market share, in this particular state, they pay for it, so they’re a member of it. 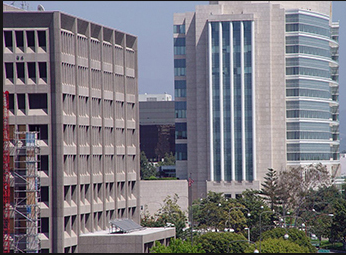 That authorizes them to do business in California and it also allows the California Fair Plan to be born. Basically, they share the risk, isn’t that interesting? Lorraine: Yes, that’s really interesting. Cohen: I like the insurance company. I think they don’t provide necessarily water damage, but it’s a fire insurance policy, there’s a lot of risk associated with that. We’re in the summer months and during the summer months it gets obviously, a lot hotter. You know that we’ve not been having rain recently, so our vegetation is quite dry. This is particularly when most fires occur. Occurs in the summer and now, in addition to that, we’re having winds. The fire that’s starting combined with the wind, is making this incredibly difficult to contain and it’s jumping from different areas to areas and it’s causing your structure to burn down. The structure that we’re talking about when there is direct physical damage as a result of fire, you do have insurance for that. Think about it, when you have a fire loss, whether it’s a partial fire loss or a full structure fire loss, there’s completely two different things. There’s sometimes, you have a partial structure that’s on fire and they have to put it out. What are you going to use to put the fire out? Cohen: Water, fire retardant material and stuff like that. This causes additional damage. Lorraine: Right, ruins existing structure, most times probably. Cohen: To restore because you’ve got to bring in old with new and it’s very difficult to do that. Lorraine: Right. If you have a partial, they just don’t knock it down and start from anew. Danny: It’s like a car in a car accident where you say, “It’s a total loss.” Versus one that you can actually fix. Sometimes that car, it may not be completely crushed, but there are parts of it that are gone that it makes it actually more expensive to fix the car than to buy a new one. Lorraine: Than just get a new car and start over. Cohen: Here’s what’s happening, people, because they’re now having to react to this incident, they’re pulling out their policies and they’re looking at the policy and realizing, “You know? I haven’t increased or updated my dwelling limits that covers the structure in the event of fire in like five to 10 years.” The consumer; the policyholder basically is responsible for that themselves [crosstalk] look out for you, you have to contact your own insurance agent or carrier and reassess your own risk. Lorraine: Right, and as as everything goes up, price of lumber, price of labor, construction, all that stuff. You should adjust accordingly. Lorraine: Okay, what happens in an event like that, is that when–? Lorraine: Okay, when it’s not your fault, when it’s something like what’s going on here and almost the whole state and various parts and areas is on fire, who accepts that liability? Cohen: You already purchased insurance for that liability and those are the limits that you purchased. Lorraine: Now, if you have a mortgage on that, what if you owe more than it’s worth? Cohen: What if you owe more than it’s worth? Lorraine: Because you don’t have enough insurance to rebuild it to where it was. Cohen: If you don’t have the money, that money that they’re paying you is for the structure. If you had low limits and you want to rebuild your house and those are the limits that you have to work with, then you might have to come out of pocket and build your structure the way you want to build it. Danny: When you’re talking about mortgage, if you think about it, there are two instances where the bank has lent you money. One is when you initially buy the property. The loan is based on the value of the property. As far as the bank is concerned, the bank is covered because even if the value of the home has gone up, your loan hasn’t necessarily gone up. That amount is covered. The other side of it is, if you’ve actually refinanced it, but if you’ve refinanced it, again, you’re assuming that the bank is refinancing based on the value at the time of refinancing and that’s where you’re looking at the valuation. However, if it flips and at some point you have lower value as far as the property sensor that’s why as far as your insurance is concerned, then your loan basically in most places, the loan is against the property. As far as the bank is concerned, the bank is the one that’s out, but if you want to rebuild your home, then you’re the one who’s going to be out because if the insurance isn’t enough to pay off the note as well as give you something to rebuild on, you have the problem. Cohen: People have to review their policies and take a look at what the actual cost of construction is. If you have to replace that home and how do you do that? You can contact your insurance agent or broker and have them assess it. See if they have a professional to assess it. The other way you can do that is, if you want to put your house in other words back to its pre loss condition, to rebuild that existing house the way that it is, you might even also rely on a general contractor. You can retain a general contractor to come out and figure out what is the cost to rebuild this house as is. Lorraine: Right, how much will be, how that was? Cohen: Multiply it by the square footage that you have and then you’ll know how much insurance limit that you need to get. Danny: Okay, let’s go to our break and when we come back, we’ll talk more about how your insurance interacts with regards to your loss and if you have any questions again, about a property damage that you have, whether it’s from fire or other loss, you’re welcome to call it. Lorraine: This is Talk Radio 790 KABC, welcome back to the ACTS Law Hour heard every Saturday at noon, providing you with solid information from our good friends at the ACTS Law firm that’s A-C-T-S Law, you can find them at actslaw.com. If you have any questions or you’re looking for any advice, go ahead and give us a call right now at 800-222-5222. I’m Lorraine Love along with our host Danny Abir and our friend and guest attorney today, Alex Cohen. Guys I think we have a caller on line two and he is calling from Porter Ranch Barratt, is that how you say it are you there? Lorraine: Is he on the line? Barad? Danny: There we go. Are you guys connecting it? Barad: Hi there. This is Barad. Can you hear me? Lorraine: Hi, Barad. How are you? Welcome to the ACTS Law Hour. Barad: I’m fine, thank you. Yes. Hi there. Thank you. Very good information, thank you for the show. Lorraine: That’s a great question. Cohen: – kitchen appliances and stuff like that. Those are with you, so you want to basically understand what it would cost to rebuild your condominium in the event there was a fire, the same rule applies. You get a general contractor and you take a look at your finishes, there’s some condominiums that– I’ve represented clients with condominiums ranging from $500,000 to $5 million. It all depends on what the finishes are on the condo. I’ve seen some plush condos that are very expensive to rebuild, so you have to have adequate insurance to cover that. Danny: Does that answer your question, Barad? Barad: Paul, what about the exterior? The interior I believe I’m covered. I covered all of that with the insurance long ago. But, what about the structure where the HOA takes over, which is the exterior of the unit? How can I make sure that they have enough coverage, is just a question to them and email or some kind of communications sufficient for them to confirm that they have enough insurance? Cohen: Well, you have a right to request the members of the board of directors to provide you with the copy of the insurance policy and as a homeowner, you have a right to those records. When you’re a member of the association through your CC&Rs, it gives you the right to obtain those records. The common areas of the association is insured. Tthe insurance agency, they have done an assessment on what it would cost to rebuild that. The insurance company itself has done that analysis, but nevertheless, you still have to take a look at it and determine if that is accurate or not accurate. Barad: Exactly, what if they haven’t reviewed their policy for a couple of years? Right? Cohen: Absolutely. 100%. You’re 100% correct. Danny: This is where it comes in. The HOA does have responsibility for the structure, but if it is insufficient, you may have a claim at that point under the D&O policy basically. Cohen: The members of the homeowner’s association that are basically a volunteer– It’s a volunteer position like the president and stuff like that. The general rule is that they’re absolved from liability unless the actions are, maybe grossly negligence or– You understand what I’m saying? Cohen: It has to be something way above the standard, otherwise they are absolved from liability. Lorraine: So then, he should basically go back and check with the CC&Rs and look at the policy that they have to rebuild just in case? Cohen: Request it from the association and he can obtain it and give to an independent who evaluates it, as well. Send it to another agent, have it evaluated. Barad: Perfect. Great idea. Thank you very much. Danny: You’re welcome. Have a good weekend. Barad: Keep listening. Thank you. Lorraine: Okay, you’re welcome and if you have any questions or you’re looking for any advice, if you’ve been a victim of these fires or if you just have any questions in general, give us a call here, 800-222-5222. We would love to help you and we would love to hear from you and answer any questions you have. Cohen: Right, where we left off was, what do homeowners or property owners need to do? As I just mentioned with Barad, that called, one of the things you need to know is understand what the replacement cost is. There are some policies that only have actual cash value. What you want to get is, you want to purchase the extended replacement cost coverage. Cohen: -cost of materials goes up. Especially right now, there’s going to be so many contractors, they’re going to be busy and cost of construction is going to rise right now. Lorraine: Let’s say, that you’re a victim of one of the fires and your house is gone, unfortunately. You need a place to live while they rebuild your house. Does every policy automatically have in there, where they put you up in a hotel or do they have to rent you something that’s like-for-likes? So, if you’re living in a home, do they have to rent a home for you, that’s kind of similar to your home in the same area or how does that work? Cohen: Excellent question. The policies have what you’re describing is what’s called, “The Additional Living Expense”. The additional living expense allows you to relocate and sometimes there’s a number associated with that, like a dollar amount number, so it’s finite to that. Sometimes it’s based on the number of months, like they say, 12 months, but there is no number associated with that. When there’s no number, it’s basically the fair rental value of your house and the insurance company will allow you a reasonable length of time for repairs. Everything has to be reasonable, it’s like if you’re going to rebuild, sometimes the rebuild will take over a year to rebuild. Sometimes a property is damaged not through fire, but through just regular, like garden-variety water damage, let’s just say, and the cost to rebuild maybe like, three months, four months. The insurance company would be responsible to pay you for the reasonable length of time for repairs. That would be irrespective of that number that is, either associated with your limit for ALE coverage, Additional Living Expense coverage. Like I said, it’s dictated by the number of months. So yes, you do have that. Hoping that your agents obviously apportion that amount, you should know what your fair rental value is. Because if you go and actually rent another house, you would be surprised that to rent a short-term lease house, it might cost you like, let’s just say, $5,000-$10,000 a month. It’s going to eat up into that policy, so you do want to check that and make sure that you have adequate coverage for that coverage, as well. It’s called the ALE, Additional Living Expense coverage. Lorraine: Okay, that’s good information because, yes, what would you do? Danny: One of the other things that it actually affects, as Alex said that the price of material will go up at a time like this. It will also potentially slow down any other claim you may have on your property with the insurance company because they’re going to use this as an excuse saying that their agents and their adjusters are busy dealing with the damages of the fire. Cohen: It’s natural. It does happen where when there’s a catastrophe like this, resources are sometimes limited with insurance carriers and those that are insuring fire losses are going to be busy dealing with people that are in this disaster. The effect that it has, it has a domino effect on any other people not affected by fire that have a natural existing case going on, it has a trickle-down effect on other existing cases that insurance companies are handling. Not to mean to ignore what’s going on with other people, but it does happen. When that happens, you really have to document the file appropriately in accordance with the California regulations to make sure that the insurance company doesn’t neglect your case in the event this particular catastrophe is in the way. Lorraine: Okay, I have a question to you and I guess I’ll ask it when we come back because we’re going to take a break. I have an interesting question. We’re going to take a quick break, but when we come back, we will continue our discussion. We’re talking about the fire damage and what do you do if you have a loss. We have our guest lawyer here today, Alex Cohen. If you have any questions about fire damage or any property damage, give us a call 800-222-5222. You’re listening to the ACTS Law Hour with Danny Abir and me, Lorraine Love, on Talk Radio 790 KABC. Announcer: Welcome back to the ACTS Law Hour helping you stop insurance companies abuse at 800-222-5222. Lorraine: This is Talk Radio 790 KABC, welcome to the ACTS Law Hour, heard every Saturday at noon, providing you with solid information from our good friends at the ACTS Law firm, that’s A-C-T-S Law. Find them at actslaw.com. If you have any questions or you’re looking for any advice, we’re talking about fire damage and if you have any questions about property damage or anything, give us a call here at the station, 800-222-5222. I’m Lorraine Love, here with your host, Danny Abir and our guest attorney today, Alex Cohen. Danny: The whole time we’ve been talking about fire damage and damage as a result of fire. One of the things and this I know especially in this fire has happened to a lot of friends of ours as well as a lot of our clients, where their house may not have caught on fire. However, their house has been damaged significantly as a result of the smoke from the fires that are surrounding their homes. Let’s talk about that a little bit and how their insurance policy is going to cover that kind of loss. Cohen Well, I’m just talking about the smoke, soot and ash. I’m only talking about that, not water. Lorraine: What about when I see the helicopters or they’re coming over and they’re dropping water to try to put out the fire? Cohen: I think they’re dropping that in the hillsides to contain the fire. Lorraine: Okay. Because I was watching some of the news people were getting totally drenched and soaked. I thought, “That house there is not on fire, but this one is.” There’s going to be water damage to that house, there’s going to be all kinds of stuff. Danny: Or even heat from the other building. Cohen: Heat is different. Heat damage affects the paint and it causes it to blister or bubble. That’s consistent with fire damage. They equate that to fire damage, but we’re really talking about soot, smoke and ash. There are a lot of homes that are going to be affected by that. My home has it. It’s in my driveway, in my walk ways and stuff like that. There’s evidence of soot and ash. The more closer you are to the actual fires, the more homes will be affected by that. There are some policies that have no limitations on that in terms of the clean up of it. Lorraine: Okay, let’s say your home for instance, let’s say it was affected by that, would it be under your homeowner’s policy or would it be under your neighbor’s homeowner’s policy? Cohen: No. My own homeowner’s policy. Everything we talk about has to do with our own insurance policy that we’ve obtained on that home. Danny: What you’re thinking about is liability policy versus homeowner’s policy, which are two different things. Cohen: Liability is against a third party who’s negligent and you have to determine that, but we’re talking about our own insurance coverage on our own home. Some insurance companies do not have the limitation on the cleanup of soot, smoke and ash. The majority of insurance companies have a limitation on that and it will state it on the declaration page of your policy. It will actually have a limitation. It’s going to be in the endorsements, the limit of liability is going to be stated, some of them are $5,000 coverage. I’ve seen as high as $10,000. Insurance carriers have limited the liability when there is a wild fire. The smoke, soot and ash have to do with– I’m talking about wild fire. Lorraine: Okay, exactly what’s going on now. I think we have a caller. We have someone on line one. Hello? Danny: You are on air. Caller: I’m on the air? Lorraine: Yes, you are on the air with ACTS Law. Caller: I have question regarding the personal liability on my home. If I hire someone to do the plumbing, but he repiping the house, he does not have a license. If he get injured is my personal liability on home will cover him? Lorraine: You hired somebody to work on the plumbing in your house, he is not an insured contractor or licensed contractor? Lorraine: Okay, he has no insurance, he’s not licensed. If he gets hurt, is that going to his policy? Caller: No, I am wondering, yes, I’m sorry. Lorraine: Yes, that’s what he’s asking, right? Caller: [inaudible 00:48:07] Go ahead. Cohen: Are you asking if the plumber that’s working on your property gets injured on your property and who would be responsible for that? Cohen: Okay, well, it depends how he got injured on your property and what caused him to be injured. Caller: Let’s say he is doing the job and him and his worker get injured somehow, does my personal liability cover the slip and fall when he was working, he dropped some water himself or his worker, but not negligence of my end. Cohen: That’s a premise liability and your homeowner’s policy also has liability coverage that’s associated with that. Your liability coverage generally will cover you for the cost of defense, not necessarily indemnify you. Insurance companies often do what’s called the reservation of rights until they examine the case investigate it, interview the witnesses and understand what happened. They have a duty to defend you. The duty to defend is very broad. They have a duty to defend, but not necessarily a duty to indemnify until there is liability. If there is, then your liability carrier would indemnify the injured party on your behalf. Lorraine: Okay, they have to figure out the liability first and then go from there. Cohen: The fact that the person was not a licensed contractor, I don’t necessarily know if that will affect it. It may or it may not. It depends. Cohen: It all depends. It’s facts specific. Lorraine: Probably case by case, right? Cohen: It’s facts specific because we’re not dealing with a hypothetical so that I can identify what happened. There’s a myriad of possibilities and you have to examine that before you’re able to provide a legal analysis to that, because the facts are not necessarily there, I say may or may not. Lorraine: Did this happen to you or you’re just asking hypothetically? Caller: No, I’m just making sure before I hire someone. Lorraine: Okay, because you can go ahead and call the ACTS Law firm and they can help you out with that. Caller: Okay. Regarding that question, if it’s a lady who clean the house get injured, is that against me? She come once a week. Cohen: That one I’ll have Danny answer. Danny: There’s actually a difference between when the person you’re hiring, or the person is working at your property is doing something that requires a license and doesn’t require a license. Where there is something that requires a license there is a potential liability on behalf of the homeowner. Whether your liability insurance policy covers that or not is a different story. The housekeeper is a different story, the housekeeper would potentially be considered an employee, your employee. In that sense, there’s potential workers comp questions that would come up and so forth. Cohen: You can purchase insurance for that as well, for people that are– [crosstalk] You can purchase insurance for that. Caller: Thanks so much for answering questions we have. Lorraine: Thanks for listening to the ACTS Law Hour. Danny: We were talking about how insurance policies may or may not cover smoke damage, one of the things that usually happens when there’s fires burning, is the flooding that comes afterwards when there is a rain season, in this case, in LA. There isn’t going to be a rain season from what I hear for another 3,4 months, when there is, there could potentially be flooding. Usually, in order for insurance carriers to cover flooding, you need to have flood insurance, but in this case, you could argue that the proximate cause of your damage is not really flooding, but the fire, and the fire is something that should be covered. Cohen: You could argue that he’s right, but he safer thing to do is purchase flood insurance, because right now the grounds, is going to be unstable because that’s what happens after a fire. It’s instability in the land and then when a big rainstorm comes, it causes floods. You might want to consider purchasing flood insurance and being prepared for that type of loss. Danny: Especially in areas that you know have caught on fire during the past couple of weeks because those areas are going to be most vulnerable when it comes to flooding. If there is a significant rain season in the horizon. One of the things that I know Alex, Alex, you and I were talking about is the potential of limitations that insurance companies place on smoke damage. I know we only have two minutes left in the show, but maybe we can spend one minute talking about those limitations so people at least know what to look for it when they’re looking at their insurance policies. Cohen: When there is smoke damage from wildfires, some insurance policies, like I’ve said, have a certain limitation to that. This limitation didn’t use to be there, insurance carriers fought for this limitation and they got it passed through the Department of Insurance and now it’s part of our policies. I can understand that it was like sometimes some people come in and acid-wash their driveways or whatever in order to get the smoke soot and ash damage off and they’re causing a lot of damage to their driveways. Some people want to repaint their house and they’re power washing and it’s causing damage to their stucco. The insurance companies would have to pay a significant amount of money for that. Now they’ve limited that for wildfires. Wildfires that cause smoke, soot and ash damage could be subject to a liability. If it’s not a wildfire, if it’s a building right across the street from you that does this, that is not the same as a wildfire, it’s a structure fire, there’s no limitation to that. Danny: We’re out of time, I just want to put this out there that our attorneys at ACTS Law will answer questions. If you have any questions regarding a property claim and the fire damage or fires that are happening, you’re welcome to call. There is no charge to it, we do try to help and give you advice as to how to navigate your way through these problems. Lorraine: That’s awesome. That’s 833-ACTS Law is the number to call. Thanks for joining us today at the ACTS Law Hour. Knowledge is power and power is knowledge. We hope that we empowered you today. 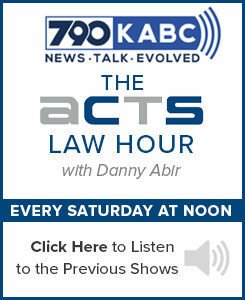 Tune in every Saturday at noon to hear more from our friends Abir, Cohen, Treyzon, and Salo with the ACTS Law Hour. For more information go ahead and join them at actslaw.com. Thank you to our host, Danny Abira and our guest attorney today, Alex Cohen for the great content and helping our listeners, we appreciate you guys so much. Have a wonderful weekend. You’re listening to KABC 790.